NeuroSky enables its OEM and developer partners to bring their brainwave solution ideas to market with the shortest amount of time, and lowest end consumer price. Our partners range from embedded system designers to consumer electronic device integrators and developers. NeuroSky offers two families of EEG products: for the embedded system designer, the ThinkGear ASIC Module (TGAM) EEG sensor PCB module. And, for systems integrator and game developers, the MindWave family of EEG-monitoring headsets can be bundled into a variety of products. The ThinkGear AM (TGAM) EEG sensor PCB module powers over 1 million consumer EEG devices around the globe. TGAM is the core of our brainwave sensing technology. 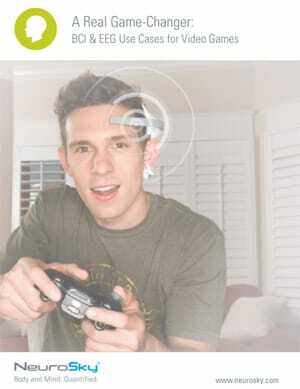 TGAM allows NeuroSky partners to bring EEG-based consumer technologies to market quickly and efficiently. The TGAM is the world’s most popular EEG solution. Together with dry-electrode, it senses the signals from the human brain, filters out extraneous noise and electrical interference and converts to digital power. This “brain-power” can be used in health and wellness, education and entertainment. Embedded within the TGAM, is the TGAT chip, a powerful, fully integrated single chip EEG sensor. The chip comes programmed with NeuroSky eSense, A/D, amplification off head detection, and noise filtering for EMG and 50/60Hz AC powerline interference. The TGAM is priced to power mass adoption in toys, mobile devices, educational gear and other products. The family of NeuroSky MindWave headsets are designed to be used by developers to get to market quickly with complete EEG-monitoring products. The MindWave Mobile 2 headset turns your computer into a brain activity monitor. The headset safely measures brainwave signals and monitors the attention levels of individuals as they interact with a variety of different apps. This headset is useful for OEMs and developers building apps for health and wellness, education and entertainment. 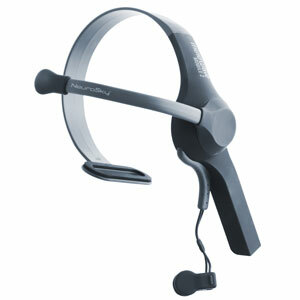 The MindWave family consists of MindWave and MindWave Mobile 2 headsets. The MindWave is designed for PCs and Mac, while the MindWave Mobile 2 is compatible with PCs, Mac and mobile devices like the iPhone, iPad, and Android. If you want a mobile compatible device, check out the MindWave Mobile 2. Both headsets share the following characteristics. The NeuroSky ThinkGear ASIC chip is priced to power mass adoption in health and wellness, educational and entertainment devices, popular EEG technology.